Description: #10 molded plastic extra-long separating zippers feature teeth that measure approximately 10mm (1/2 inch) wide when zipped. These #10 molded plastic jumbo extra-long separating zippers separate at the bottom, jacket-style. 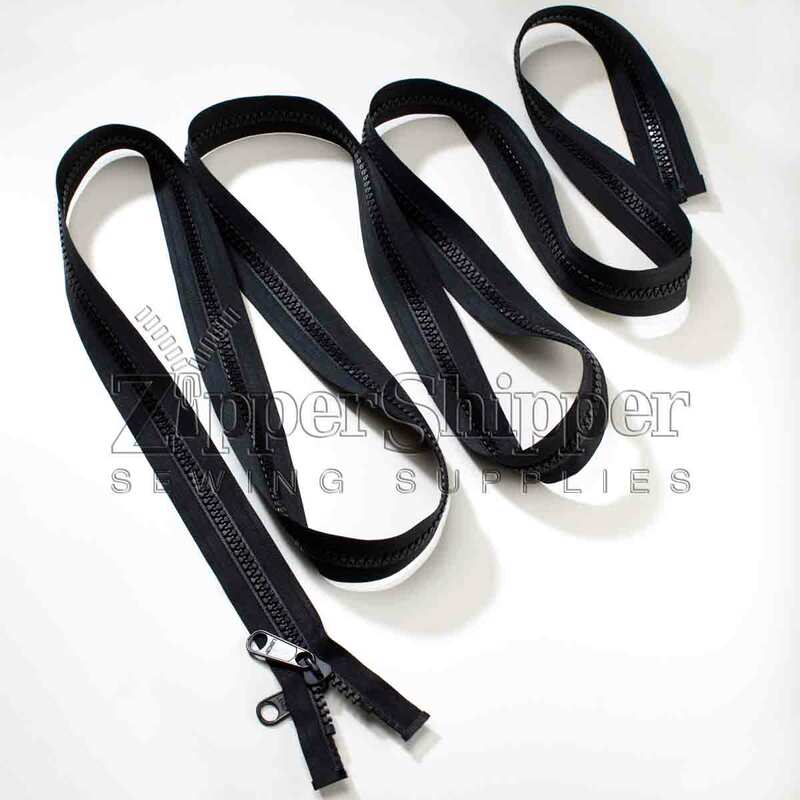 These are one-way zippers (they have one slider). Choice of 3 sliders. The two-handled slider is typically used for tents in order to have both inside and outside access to the tent.